OK it's been really fun showing you some of the hottest suede styles from Allen Edmonds this summer. The first two posts I walked you guys through how I would style the classic Allen Edmonds Standmok with a perfect summer suit (great for office & wedding) and a sharp casual look for the dressed down days. But the real fun everyone have on their minds this season is, of course, the weekend. Here's a foolproof outfit to pack your bags and get out of town...quick! 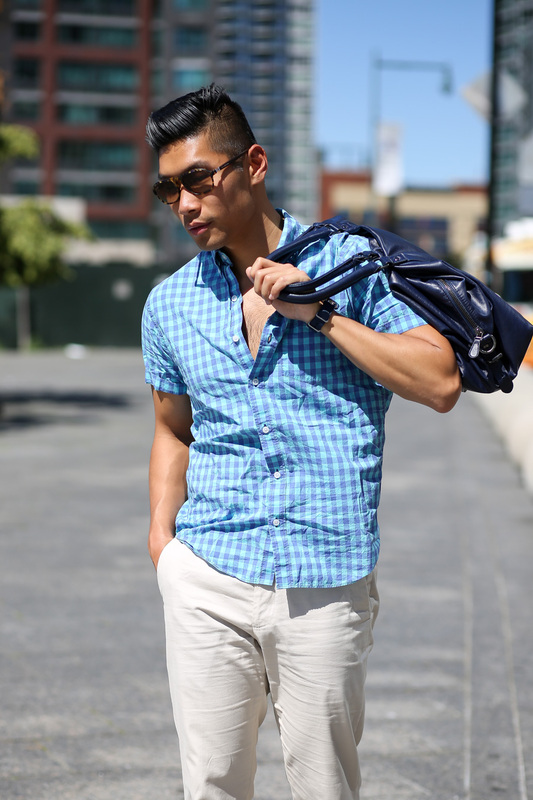 I love a good pattern short sleeve shirt like this gingham bold color shirt from J.Crew. Working off of that color - I paired the outfit with light pants and navy accessories. A leather weekender duffle bag is a no-brainer to throw everything you need for a quick getaway. A stylish chronograph watch by Timex with navy face and NATO strap. I completed the look with the Allen Edmonds Cheetah sneakers - classic and minimal in suede. The sneakers also come with comfortable vibram soles so there's cushion for all the walking and exploring on my trip. I love how the suede details of the shoes stand out in the heat of the summer. 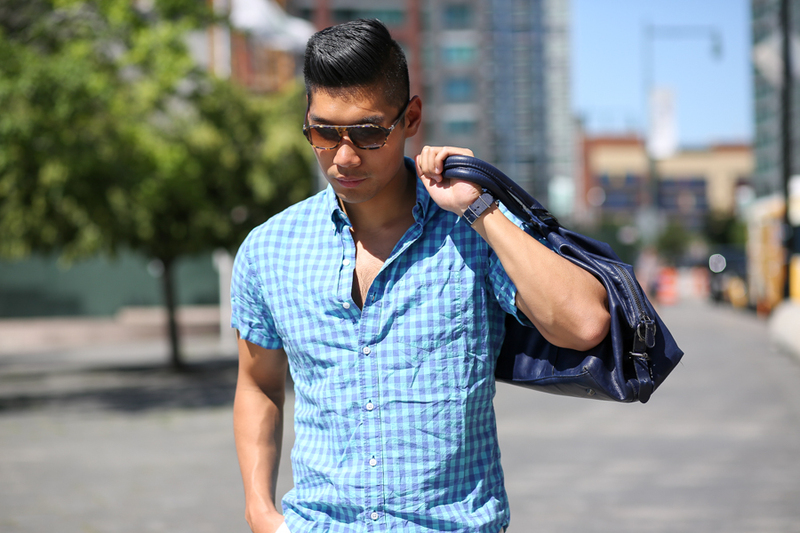 Be sure to check out Part I & II on the Summer Suede Style Series with Allen Edmonds. Drop a comment on your thoughts of this look below! Hey Leo - I'm looking at the AE Cheetah sneaks online. They are now on sale. Do you still like them?